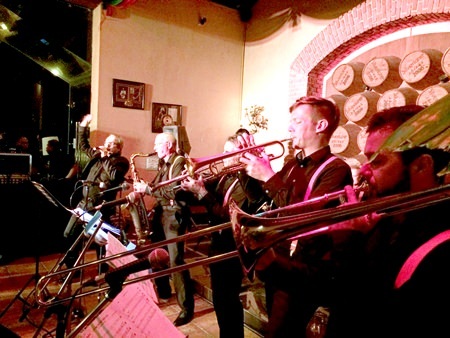 The fabulous Dutch swing fever – B2F (Big to The Future) band was back in full force, performing at the Silverlake Vineyard restaurant on October 14. Led by Jos Muijtjens and Paul Van Duyn, the group came directly from Holland to showcase their new “Stars In Heaven Swing” show, entertaining the audience with high energy arrangements of classic swing tunes, lovable standards, vibrating Latin, and pop. The B2F (Big to The Future) band from the Netherlands performs at Silverlake Vineyard in Pattaya on October 14. Music for those seeking a bit of nostalgia included numbers from Fred Astaire and Ginger Rogers that had the guests up on the dance floor throughout the night.